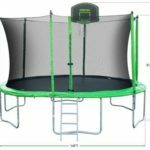 For safe family fun and active lifestyle, the Upper Bounce Rectangular Trampoline is a terrific play tool worth considering. This trampoline combines fitness and fun like no other play tool out there. It offers a large surface area for multiple members of the family to have fun together. Better yet, it comes with heavy duty legs and frame for long-term use. 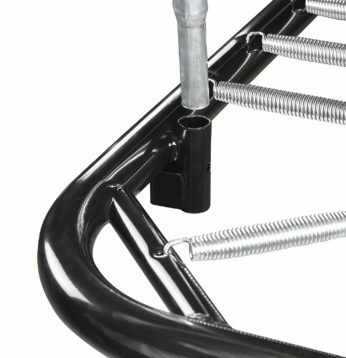 Moreover, it features high-end, galvanized springs, which means that it’s less prone to collect rust. What Do People say about the Upper Bounce Easy Assemble “Spacious” Rectangular Trampoline? Does it come with the Ladder? 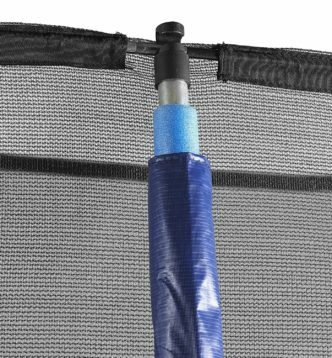 The Upper Bounce Trampoline comes with fully enclosed fiber flex safety enclosure along with latch clips and a dual zipper to keep the user safe. Also, the net is made from 100% premium Terylene mesh for the sake of longevity. Moreover, the jumping mat is constructed from high-end PP mesh and is cross sewn eight times for added durability. This ensures that the mat will hold itself well for many years to come. 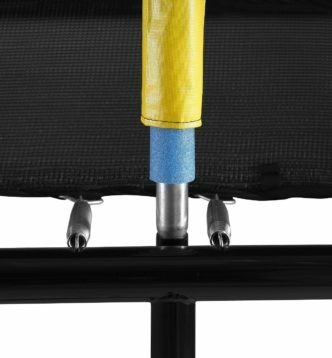 Also, the poles are covered with foam and strong vinyl material to prevent bumps and bruises. 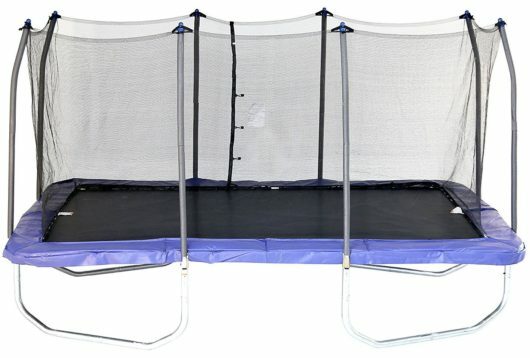 Given the overall quality of the product, even new users are able to jump and bounce on the trampoline with full confidence. 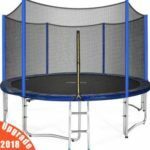 With plenty of safety and performance-oriented features, this trampoline has received a ton of positive reviews from past users. From gymnasts to a recreational trampoline user, the product has won most hearts. For the price, performance, and durability, the product has received high ratings across many platforms. Customers have appreciated the fact that the product is designed to be family friendly. One of the customers also reported that the trampoline did not move an inch even when it was left outdoors in a fierce windstorm. No, a ladder is not included in the deal. So, you might have to jump up to climb into the trampoline or get a ladder at your own expense. Of course, it won’t cost a lot. There is a one-year coverage on this trampoline. So, users are safeguarded for 12 months against unexpected damages to the trampoline. For user safety, the net is designed to run through the top ring, which provides a safer rebound from net bouncing. Also, the trampoline can be easily put together by a single person. But, if you want to take the lazy route, you can hire someone for the sake of assembly. 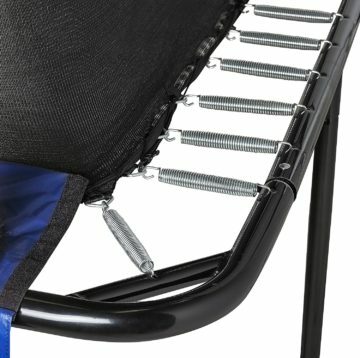 It can support 500 lbs of human weight. So, the trampoline is suited for people of all ages. Keep in mind that industry experts do not recommend the use of a trampoline for kids under the age of five because little kids can easily injure themselves. A few customers have complained that the packaging is not up to the mark. They stated that the item arrived in multiple boxes that were poorly packaged. 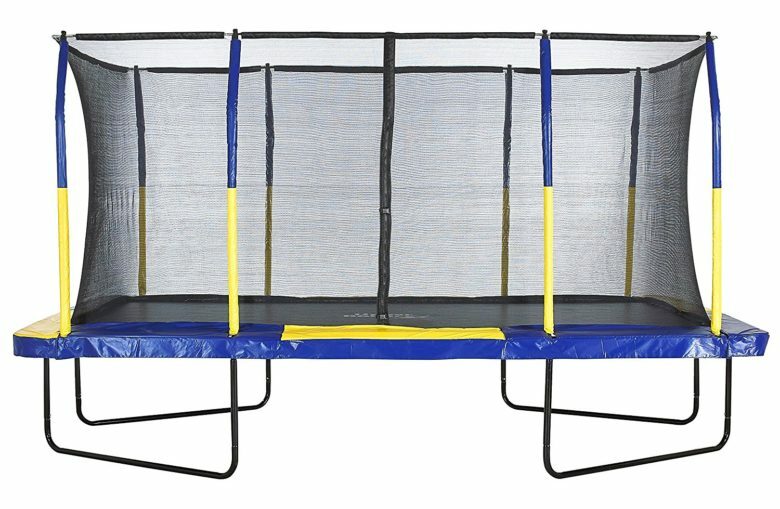 This Upper Bounce Easy Assemble “Spacious” Rectangular Trampoline is the real deal. 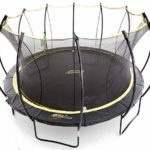 While it doesn’t come at a shoestring cost, it’s definitely one of the best rectangular trampolines that you can find on the market today. 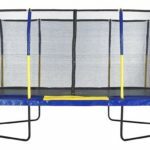 For enhanced performance and top-of-the-line safety, this Upper Bounce Trampoline is a no-brainer choice.